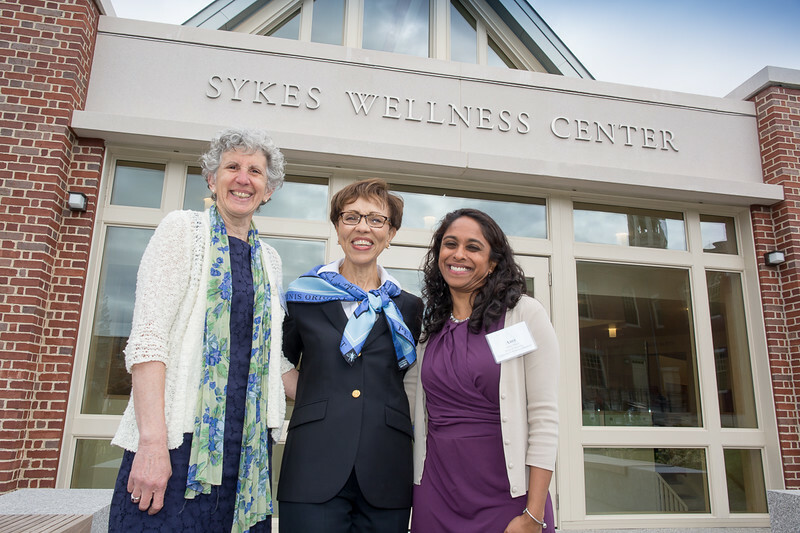 It was an emotional return to campus for former Associate Head of School Becky Sykes when the new Rebecca M. Sykes Wellness Center was dedicated May 6. The state-of-the-art facility supports student health, both mental and physical, and is a fitting reflection of the strategic plan’s emphasis on empathy and balance. After warm opening remarks from Board President Peter Currie ’74 and Head of School John Palfrey, Sykes addressed the crowd assembled on the lawn outside the center. With characteristic graciousness, she spent much of her speech thanking the many supporters who made the Sykes Center possible; she also teared up as she noted that it was the first building on campus named for an African American woman.